There is a lot of interesting beliefs surrounding the Ground Hornbill, which begs the question, are they to be feared or revered? These birds are often referred to as “Turkey Buzzards” and are the largest of the hornbill family. 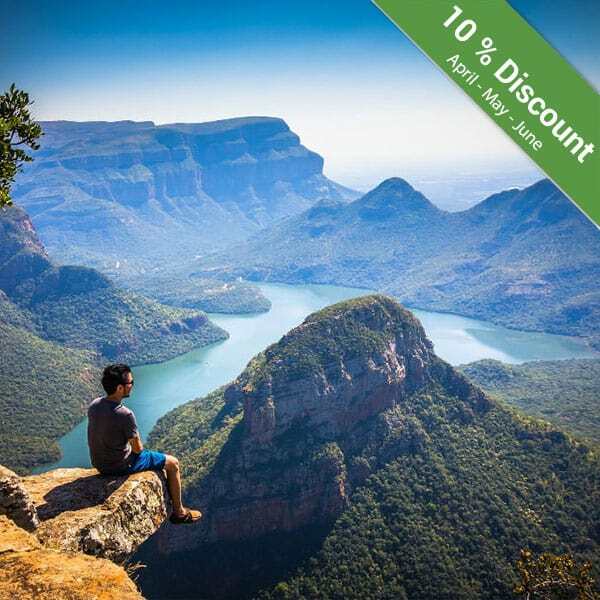 In the past they were plentiful, but sadly they are now on the endangered species list and very seldom seen outside of the Kruger National Park. 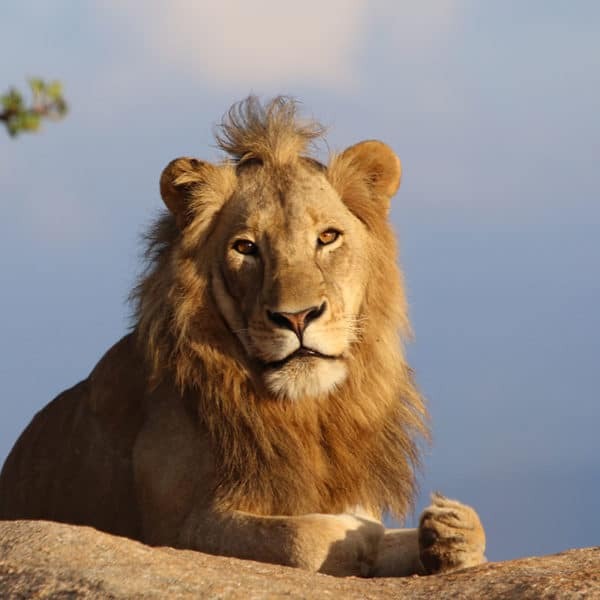 They have really loud booming calls which can easily be mistaken for a roaring lion. 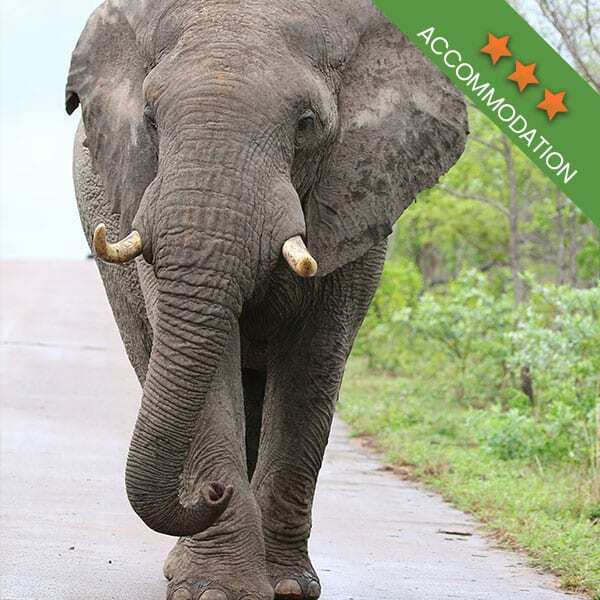 When on a Kruger Park safari, there is a great chance that you will see these interesting looking birds. But first, you need to know what you are looking for. The Ground Hornbill is a really large bird, often growing to over a meter in height. The main characteristics of this bird are surely the bare red patches of skin on its face and neck. The feathers are black with white tips on the wings, often more noticeable during flight than when they are walking on the ground. They are also the only birds to sport eyelashes. In captivity, Ground Hornbills have been known to live up to 70 years. They always have two younger Hornbills to help take care of their young, almost as if they are teaching the younger Hornbills the rules of parenting. The hatchling are looked after for 2 years, which is the longest of all the bird species. 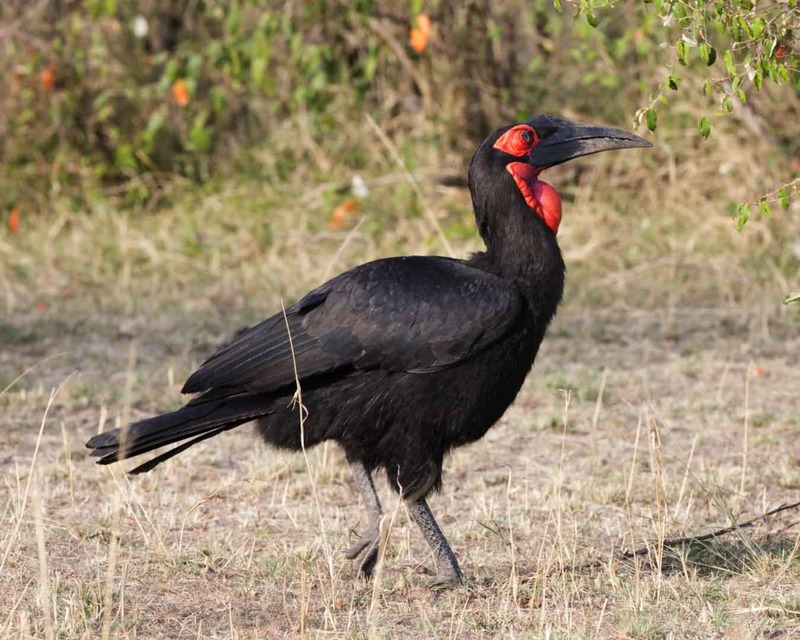 There are many myths surrounding the Ground Hornbill in Africa. In some cultures, the bird is considered sacred, and if you kill a hornbill it is a grave sin. It is believed that should you kill a Hornbill the rains will come with such force that it will literally wash your land away. So strong is this belief, that in times of drought, rain-doctors will actually ritualistically kill a hornbill in order to bring the rain. This procedure is done by killing a hornbill and then attaching a stone to its body before throwing it into a stagnant pool of water. It is believed that the hornbill is so dirty that it will make the pool of water smelly, thus sending rain is the only way for the water to rid itself of the smelly bird. Ground Hornbills are also considered to predict wealth. It is said that the best place to raise your cattle, is where the Ground Hornbills feed. That being said, you also don’t want them to close to your home, legend has it that if you do not “shoo” them away from your house quickly, a family member is going to die. 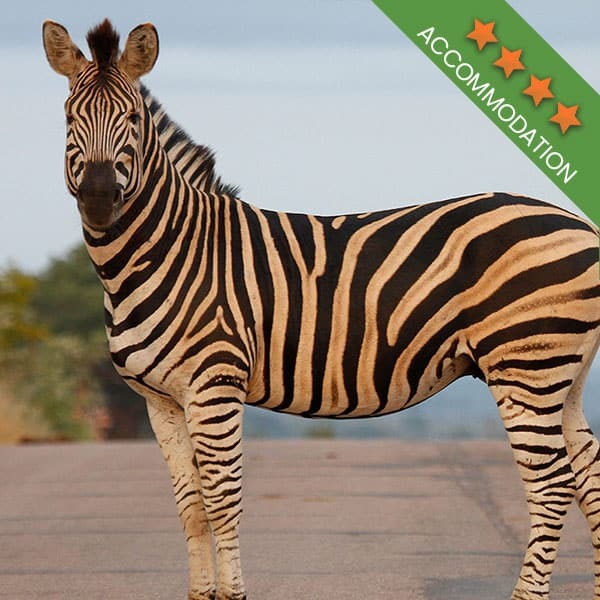 This belief stems from the fact that Ground Hornbills eat snakes, so having your cattle graze in an area that they feed in makes it a snake-free area. Dreaming of Ground Hornbills? Well, that means that either you or someone in your family will be receiving a monetary return from a governmental institution. 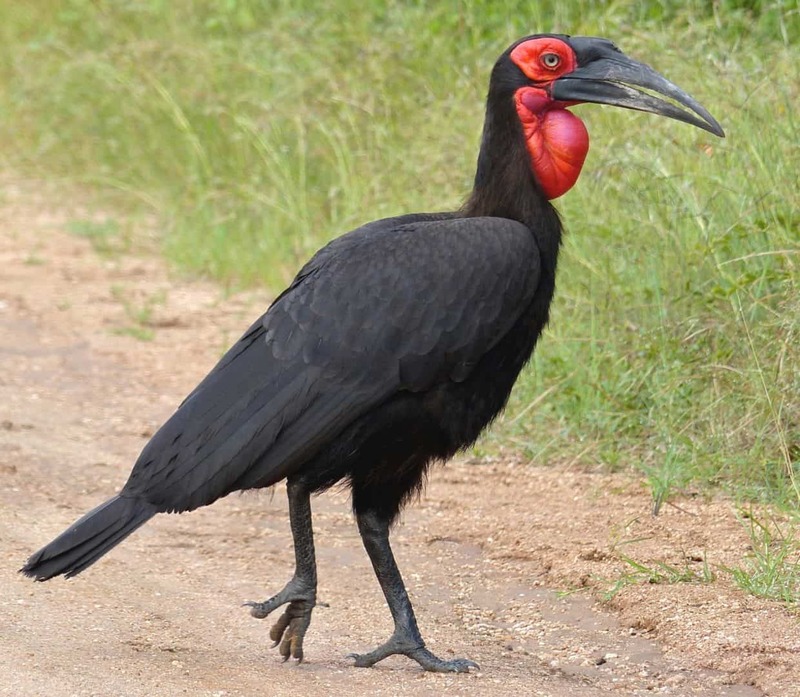 Africa’s Ground Hornbill has become something of a symbol and many guests to the Kruger keep a keen eye out to spot these unusual looking birds. 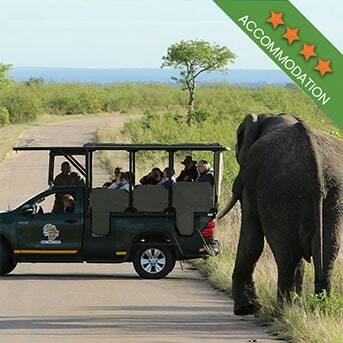 When on a Kruger Park safari, you too might see one. They are every photographer’s dream shot because although they are not the most handsome of birds, they are quite eccentric looking. When on a Kruger Park safari, there is a great chance that you will occasionally see a Ground Hornbill going about its day. 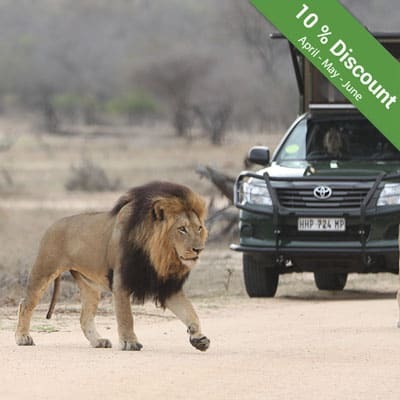 Book your Kruger Park safari and see for yourself!